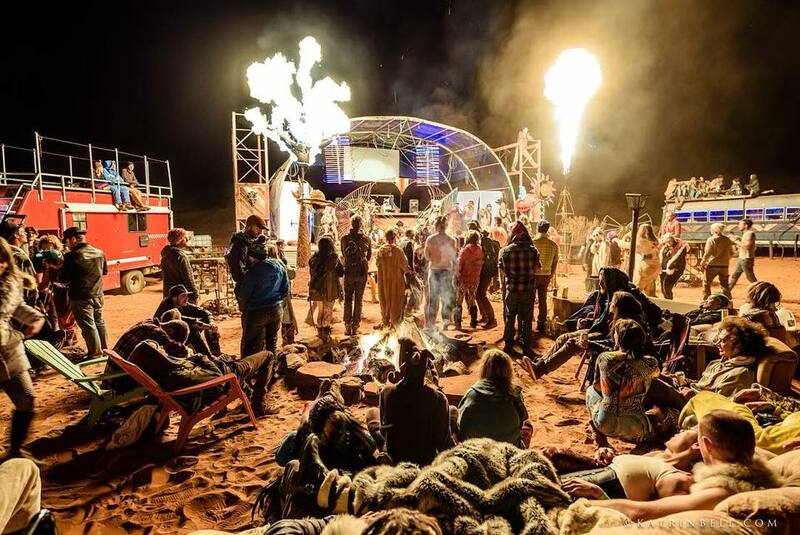 The Land Collective hosts Samsara a Health and Wellness Centered Music, Performance, Arts, and Ceremony event this November 2-4 at "The Land" a stunningly gorgeous venue nestled in the middle of 800 ft red rock cliffs down Kane Creek just 10 miles outside of Moab, UT. Check out the epic photos of this location and you will understand why it is worthy of such a name... because it is "The Land" of all Lands!!! Facebook Event Page Link "Samsara Gathering Facebook Page"
2 days and 2 nights of camping under the Desert Stars with a day float Colorado River trip w/ musicians on Sunday November 4th. 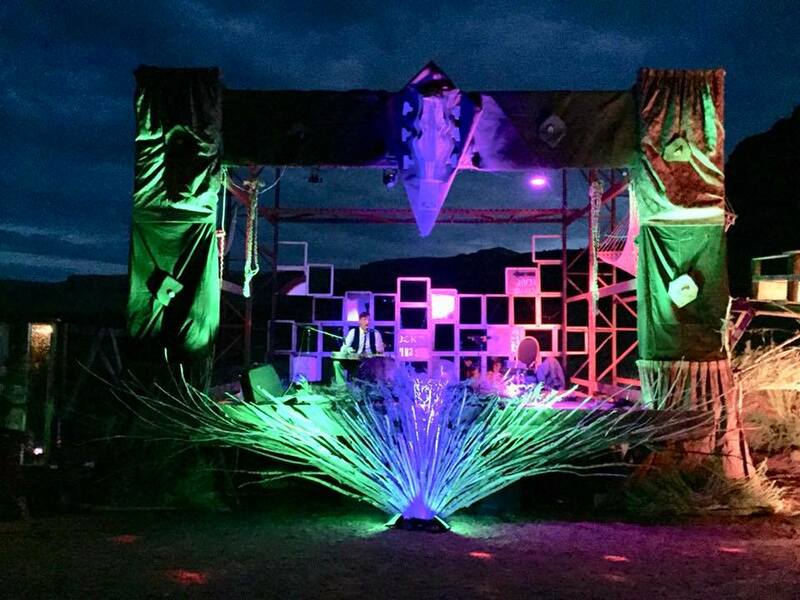 The main event features spectacular live bands, beat dropping dj's, dazzling circus acts, theatrical performances, a magnificent light show, a cacao ceremony, art sculptures, yoga, vendors, and a river trip down the breathtaking Colorado River on the final day. Mark your calendars because this is going to be one for the books! The name Samsara was chosen as it stands for the cycle of death and re-birth and referring to the demise and resurrection in new forms of the Moab event Desert Rocks into a new sustainable holistic form. At the heart of this new form is "The Land" itself, organized and maintained by "The Land Collective" this privately owned property has the capacity to have permanent structures and features preventing the financially and carbon costly energy to setup and tear down an entire production each and every show. Proceeds will go towards the creation of "The Land" as a permanent sustainable venue with first funds scheduled for the procurement of a water well and a solar system array to help with the creation of a beautiful desert garden and carbon neutral power capability. Full Festival Pass - Less than 20 left at $65 Price Tier! Full Festival Pass Tiered from $55-$95 - Include tent camping, two shuttle passes, and a cacao ceremony ticket (1 serving of cacao). Vehicles are not permitted at the venue with this pass. To car camp or have your vehicle onsite you must purchase a "Vehicle Pass", otherwise you will need to park your car at the Kings Bottom Campgound and catch the shuttle to and from the event. See Vehicle Pass and VIP Ticket Package below the "GA Ticket Price Tiers". Tier 1 - Sold Out!!! Tier 5 - $95 till sell out! Full Fest Fri - Sun Pass -$65 Buy now! Full Festival Pass $40 - Children must be accompanied by adult at all times. Samsara Gathering bears no responsibility for you child. Includes tent camping, shuttle rides with parents, and a cacao ceremony ticket (1 serving of cacao). River Trip Pass includes River Trip and More! River Trip Pass Tiered from $150-$200 - Includes Sunday all inclusive Colorado River Trip with the Samsara crew, Talia Keys Sunset Beach Session, and other musical acts. Event Perks include all access to the backstage and catering areas, a gift package from our sponsors, tent camping, four shuttle passes and 2 cacao ceremony tickets (2 serving of cacao). Vehicles are not permitted at the venue with this pass. To car camp or have your vehicle onsite you must purchase a "Vehicle Pass", otherwise you will need to park you care at the shuttle stop and catch the shuttle to and from the event. VIP Tier 3 - $200 till sell out! VIP FRI -SUN Pass - $150 Buy Now! Offsite Car Parking Pass - $15 This pass allows you to park your car and camp at Kane Springs Campground, our offsite car parking/camping area and main shuttle pickup and drop off location. Offsite Car Parking Pass -$15 BUy now! Extra Shuttle Passes - $5 per pass onsite sale only! Extra Cacao Servings - $5 per serving onsite sale only! Onsite Car Camping/Parking Pass - $75 Buy Now!